Bags are special system objects to store and randomize game components. When a player takes an object from a bag, the result is always randomly chosen from all the objects it contains. The actions provided by a bag are similar to the stack actions, see Randomizers. Tip: Lock bags on the table, to prevent players from occasionally dragging a bag instead of taking a random component out of it. 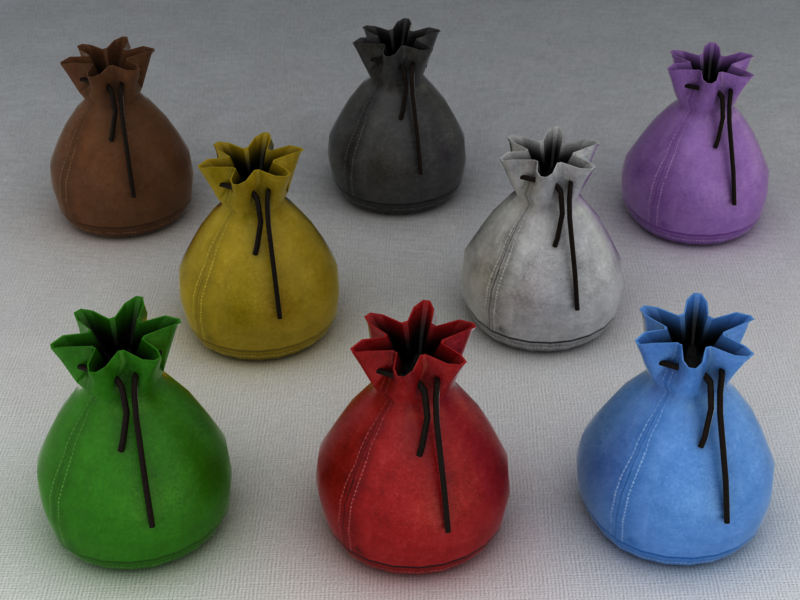 There are several predefined color bags in the system which can be used in setups. Components Randomization. The main use of this object is to store and randomize the components (tokens, tiles) of your game. Note that if you are using the bag to randomize components, the only method for players to get the components without other players seeing them is to use the Draw or Deal actions from the bag, see Interacting with Game Components. Storage. You can also use bags to save space on the table in game setup. Put all the resource tokens of one type in the bag when creating the game. 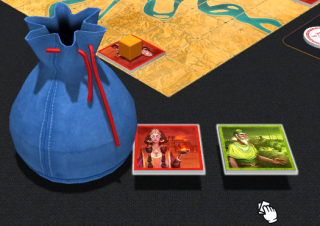 If you have lots of tokens, the bag will help not to overcrowd the table. Recycle Bin. If you need some place for the unused components to be kept, you can place them in a bag. Turn Order Randomization. The bag may be used by players to determine the turn order in the game. Put several color or numbered tokens into the bag and draw them out of the bag.